We love the feeling of taking off a cold sheet mask to reveal dewier, glowing skin. But what if we were able to push that feeling even further and remove that mask to reveal a true sunned look? Well, St. Tropez is coming out with a sheet mask that professes to not only make our skin softer but also bronze it up a bit. The new sheet mask from St. Tropez is a self-tanner, so it effectively combines the moisturizing factors of the Korean sheet mask beauty trend with the sunny qualities of a self-tanner. Wait, so how, exactly, does this work?! 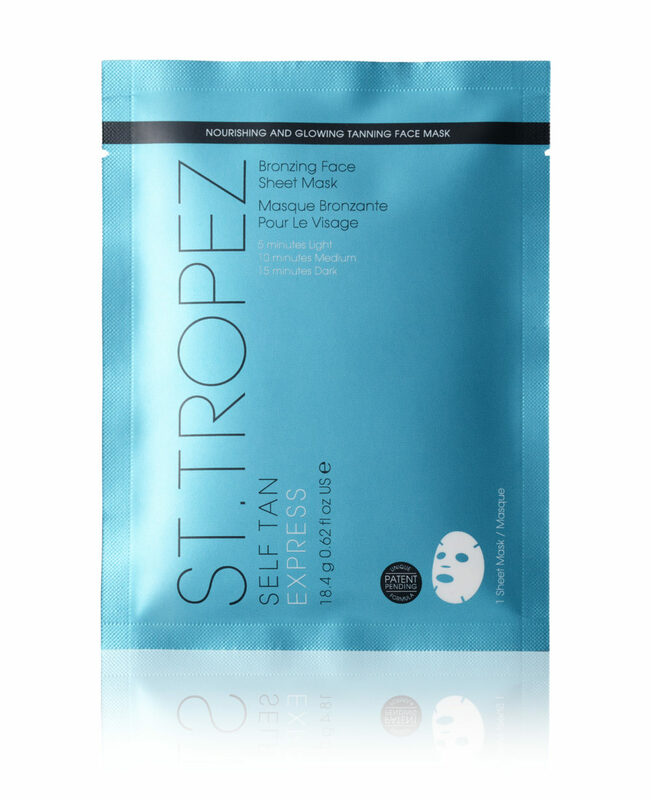 The St. Tropez Express Bronzing Face Sheet Mask contains a combination of tanning serum and hyaluronic acid, so moisturizes while giving you some color. It’s a single-use mask, as you might have guessed. Depending on your skin tone and intended results, you can leave the mask on for five minutes for a light glow, 10 for a medium one, or 15 for a deep tan. It’s not recommended to leave the mask on longer than 15 minutes. After you remove the mask, rub the excess serum around your hair- and jawline, wash your hands, and you’re good to go. The St. Tropez Self Tan Express Bronzing Face Sheet Mask will be available exclusively through Sephora on May 22nd for $9, each!